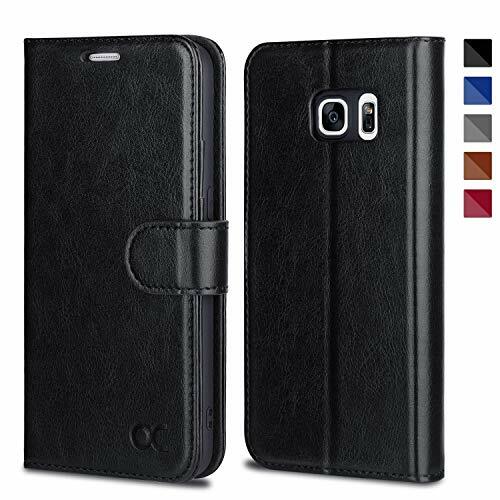 If you want the best out of your Galaxy S7, then this case cover will be a very good asset for you, so you can be assured of perfect quality. The firm stand gives you one of the best hands free experiences while watching a movie or video on your Galaxy S7. The magnetic snap closure is also very effective for your iPhone by securing it from falling out and at the same time, providing easy access to your screen. Notice: This case is ONLY designed for Samsung Galaxy S7. Built as a debit or credit card carrier, it is very effective for securing all types of cards and currency notes you can carry. The cover case holds the S7 without being too tight or too bulky, thereby ensuring your phoneâ€™s security and portability at the same time. The leather protection is supple and durable therefore ensuring a cover case with luxury and will last long. If you have any questions about this product by OCASE, contact us by completing and submitting the form below. If you are looking for a specif part number, please include it with your message.